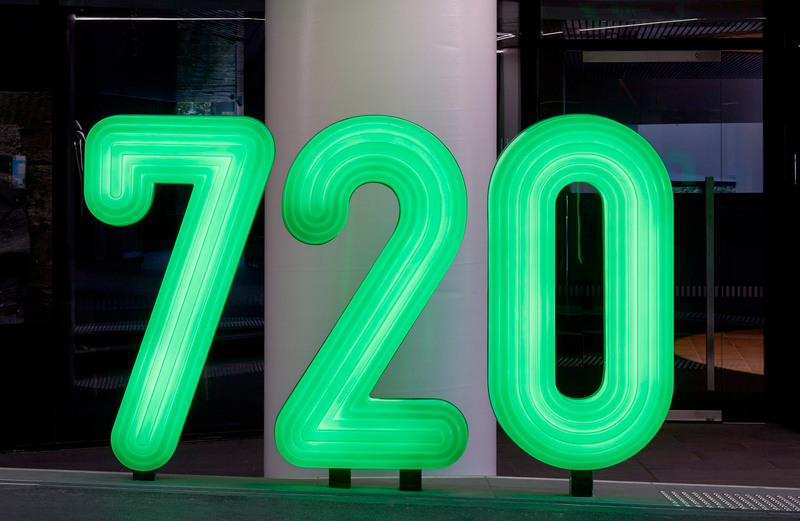 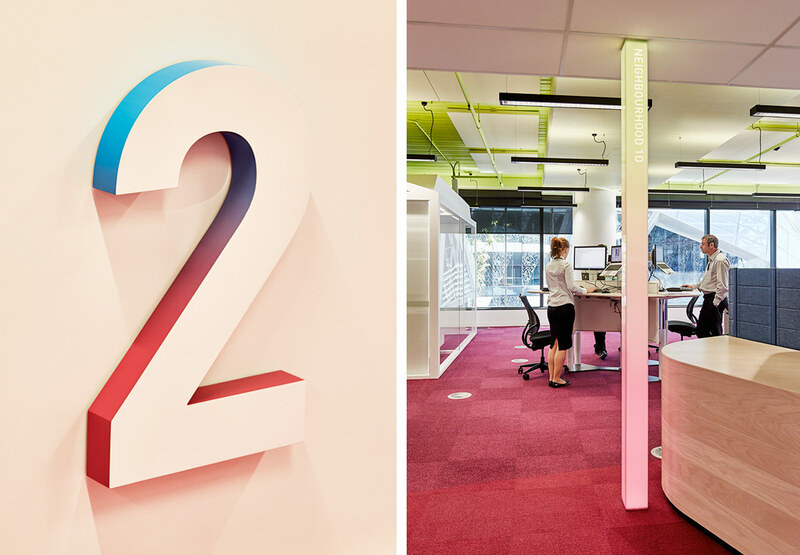 Medibank HQ 720 Bourke St. 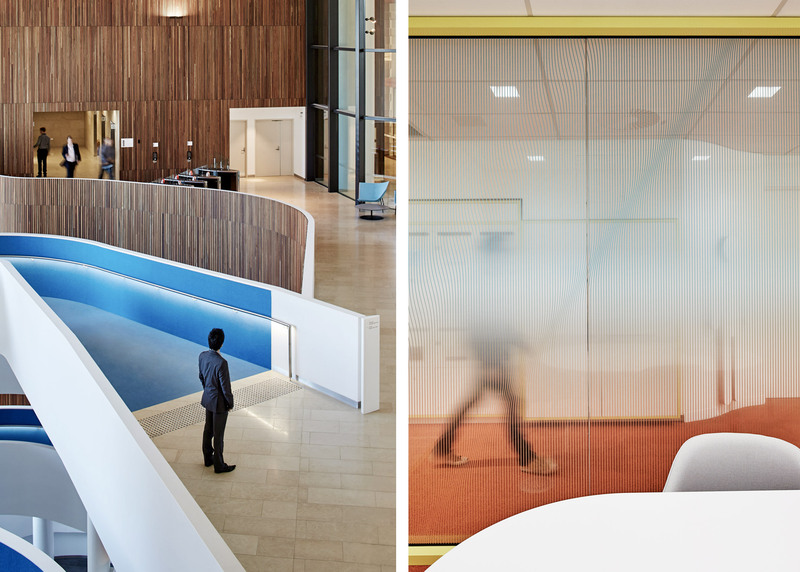 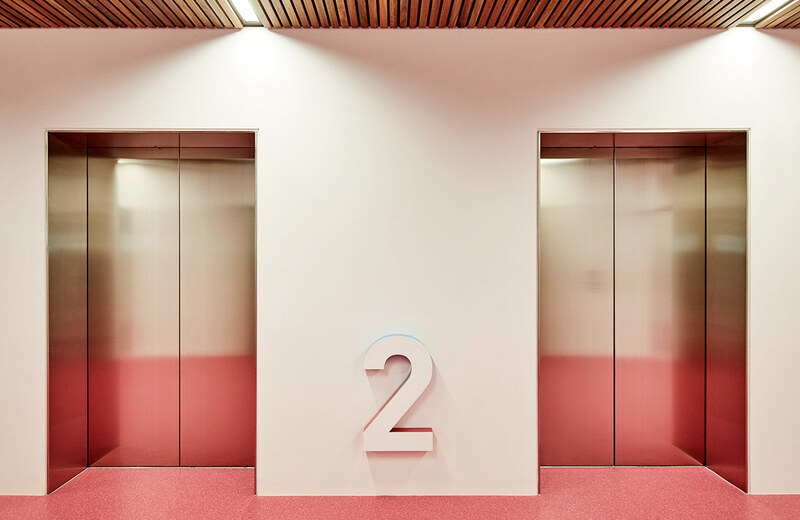 Leading health insurer Medibank’s aspiration for its new headquarters was to encourage ‘a healthy and active way of working’. 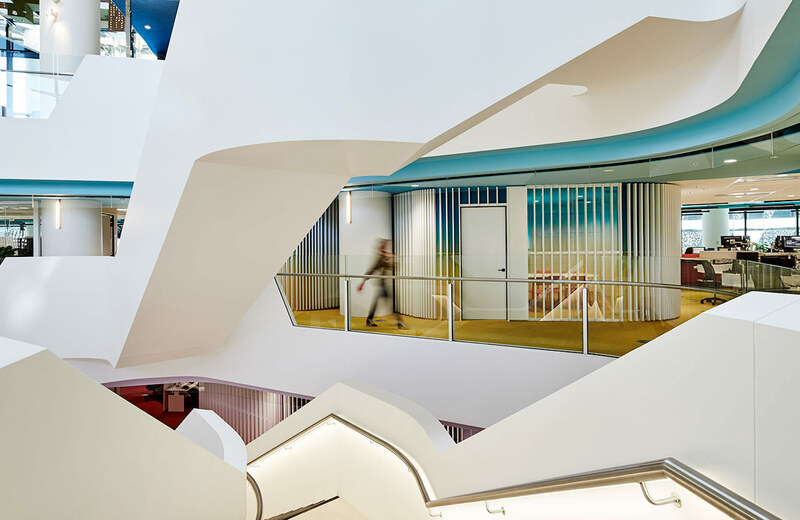 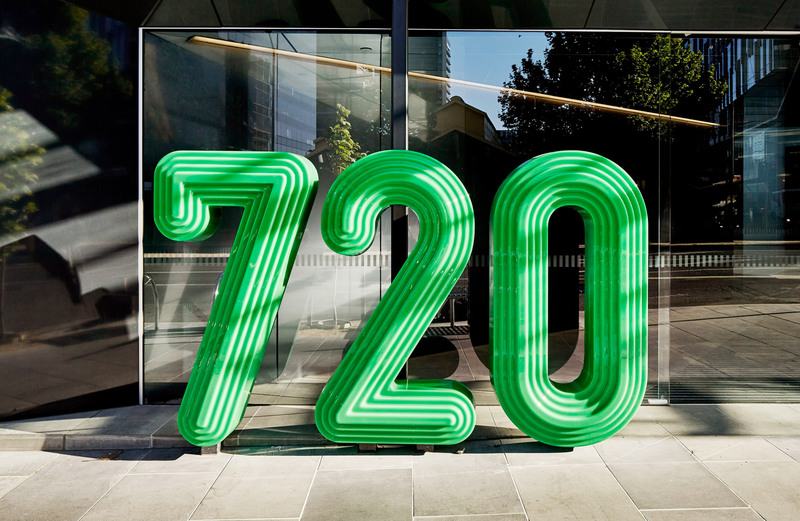 Working in close collaboration with architecture and interiors practice HASSELL, the 720 Bourke Street building design and Medibank workplace fit out concept became known as ‘Thrive’. 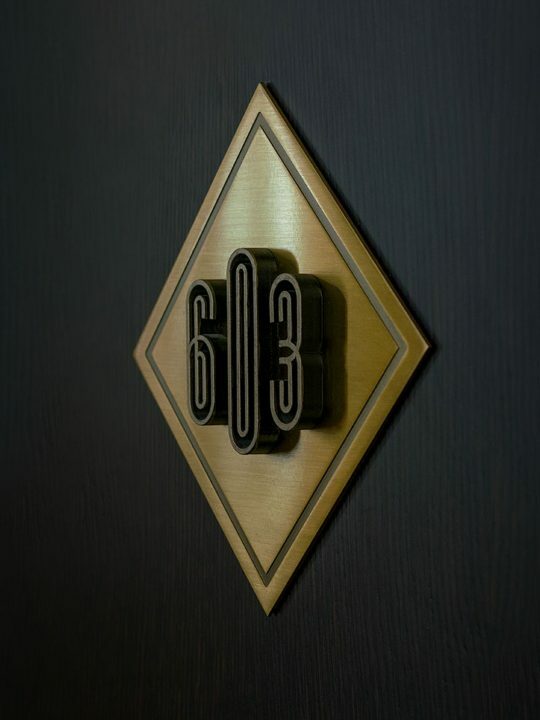 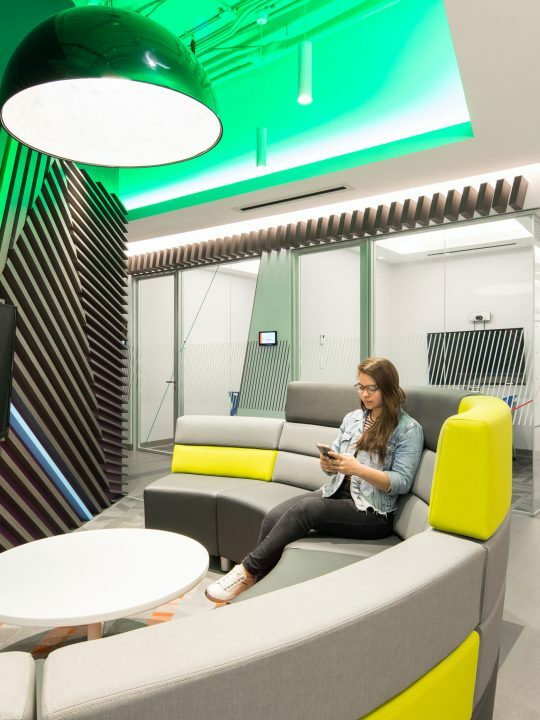 Through the realisation of an Activity Based Workplace, the vision to create an environment that promotes health, connection, flexibility and movement became a benchmark example of a modern and progressive working environment. 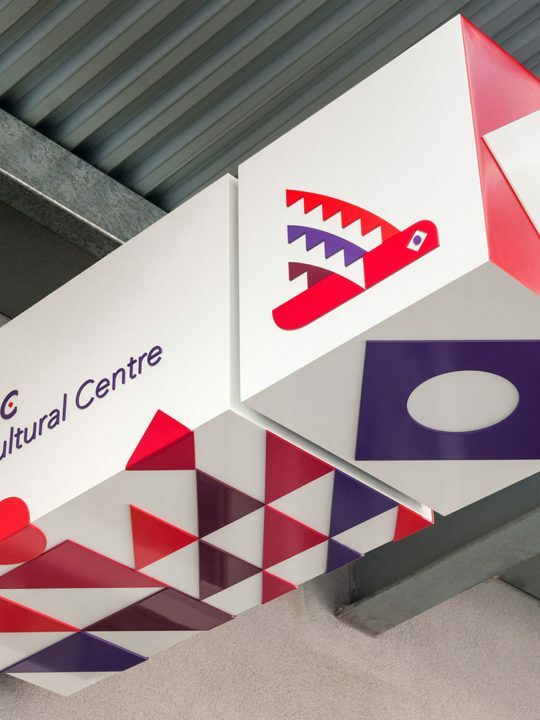 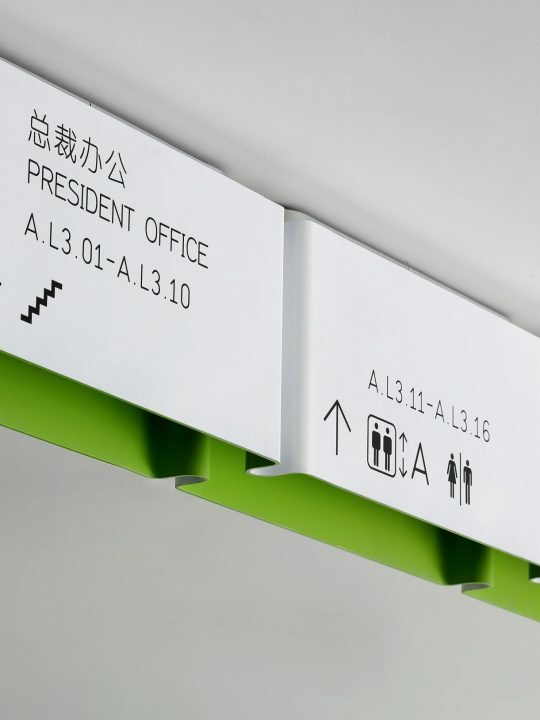 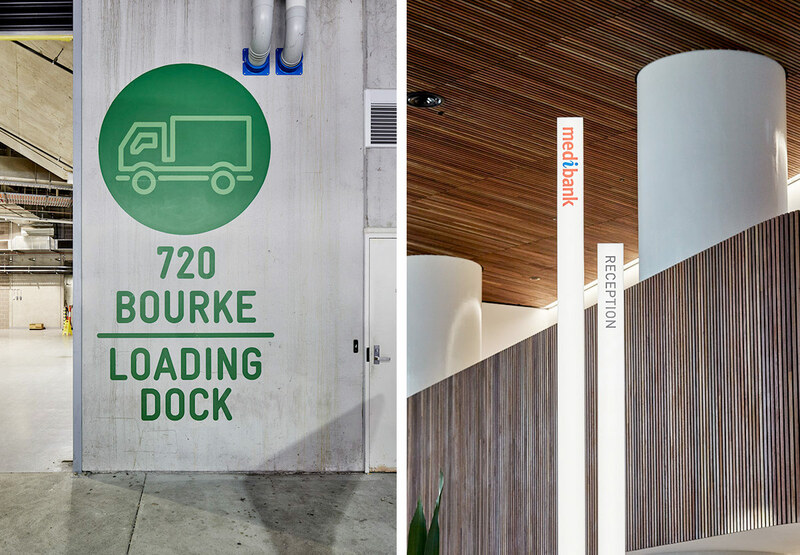 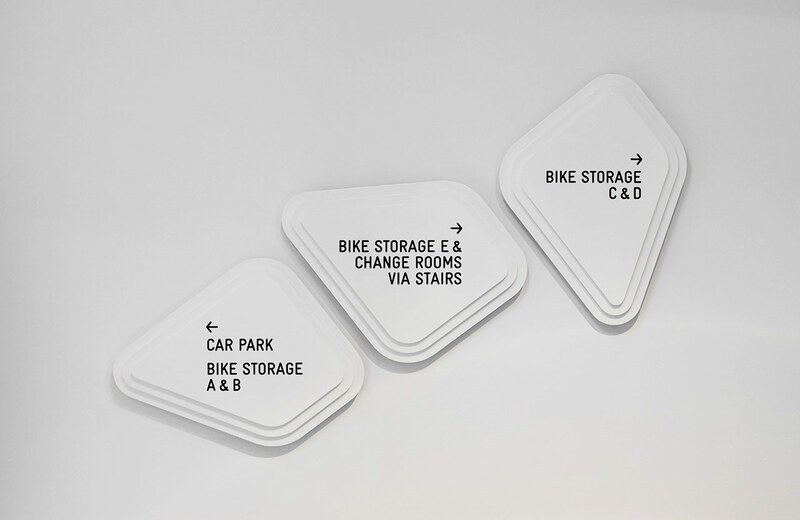 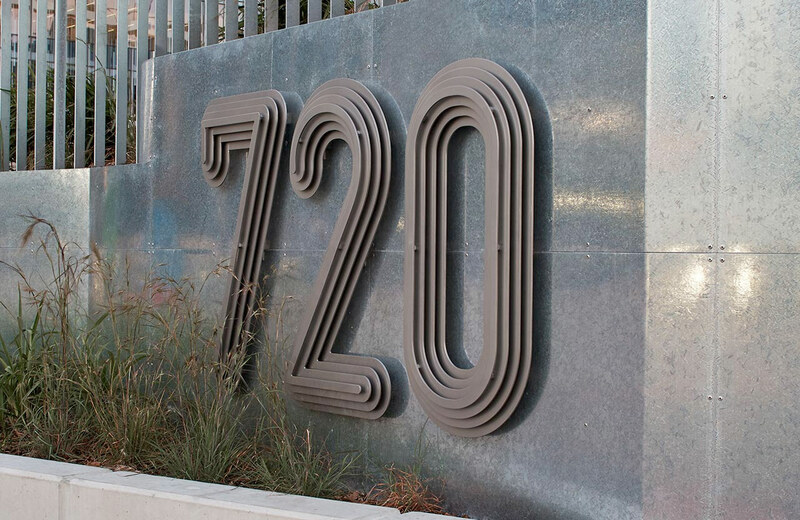 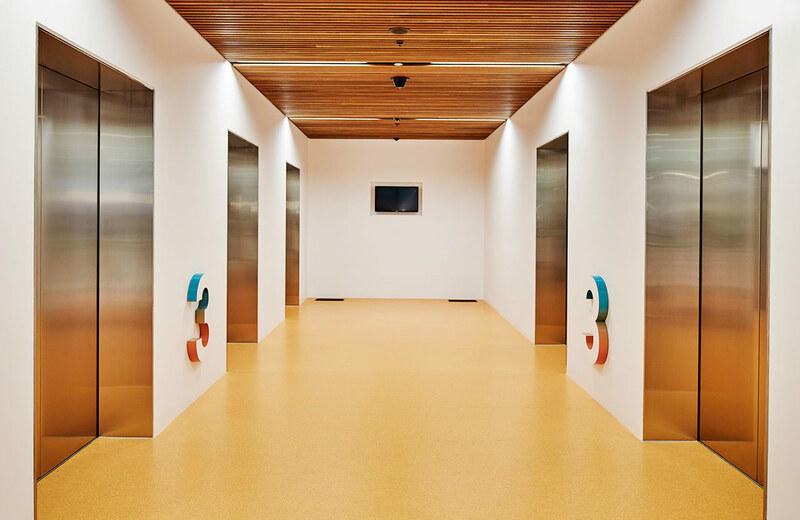 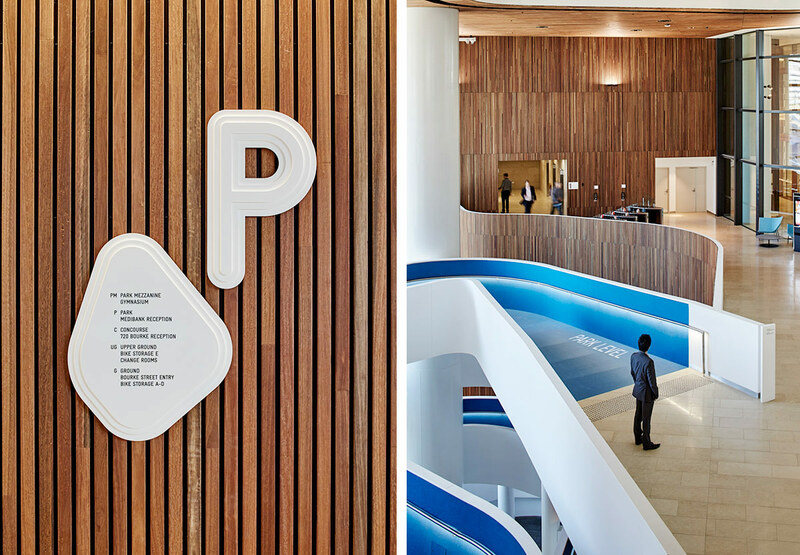 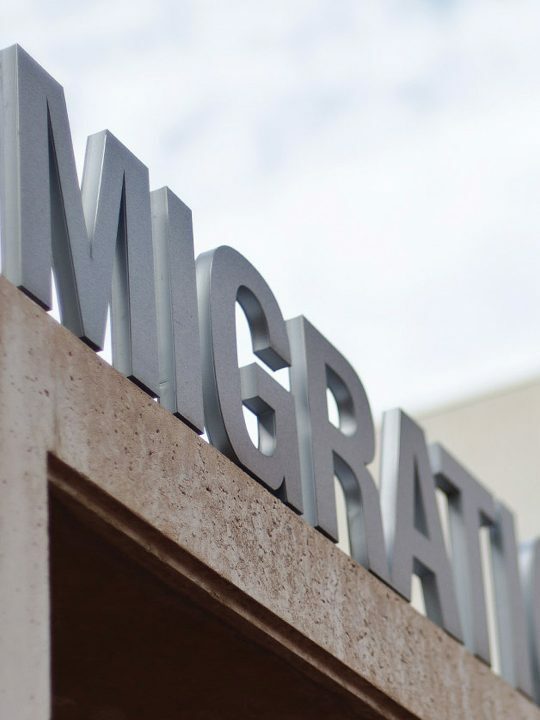 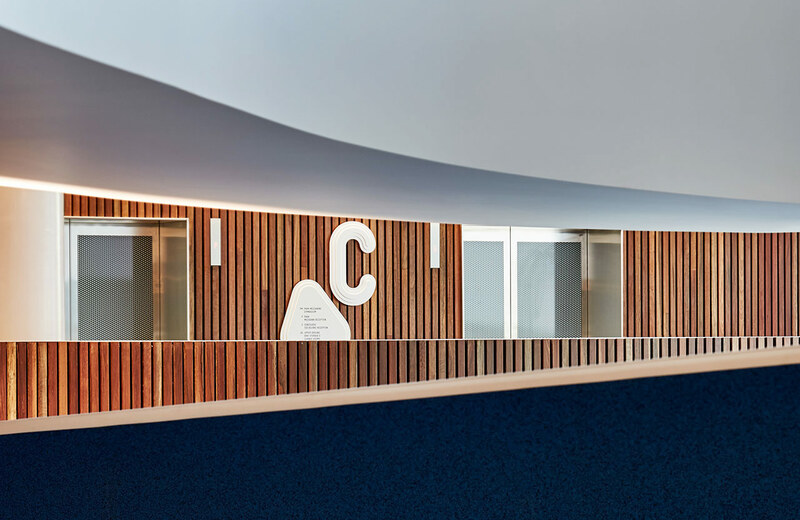 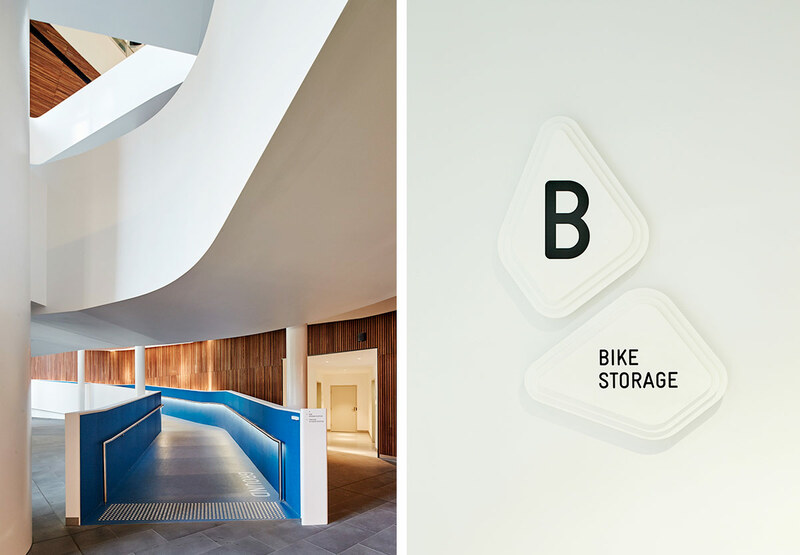 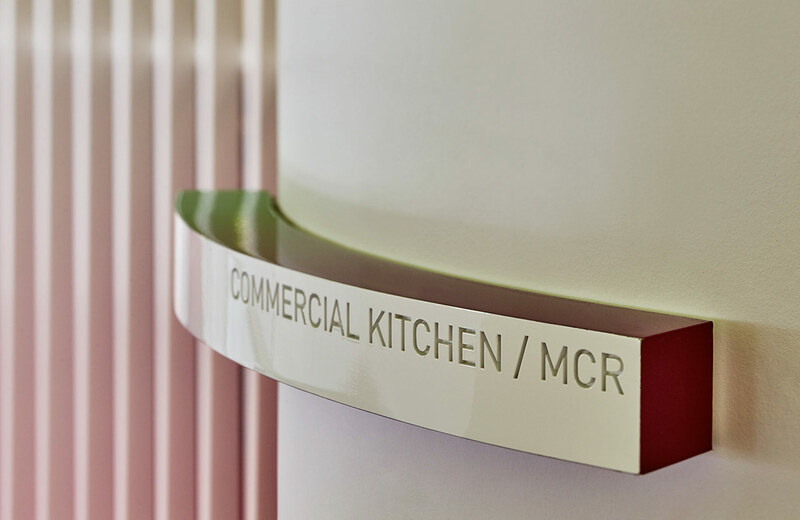 Studio Ongarato delivered a public signage and wayfinding system to compliment both the base building, as well as Medibank’s interior workplace signage and environmental graphics, underpinned by the theme of Transformation. 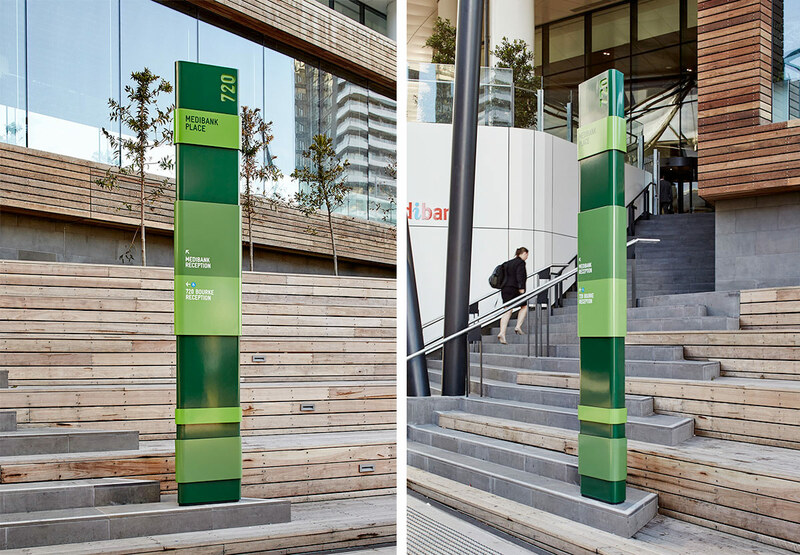 A seemingly conventional tower, the 720 site with public access routes through to Etihad Stadium, two street frontages, three key building entries across multiple levels and both commercial and retail tenancies presented complex wayfinding and addressing challenges. 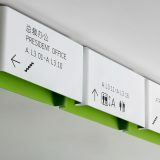 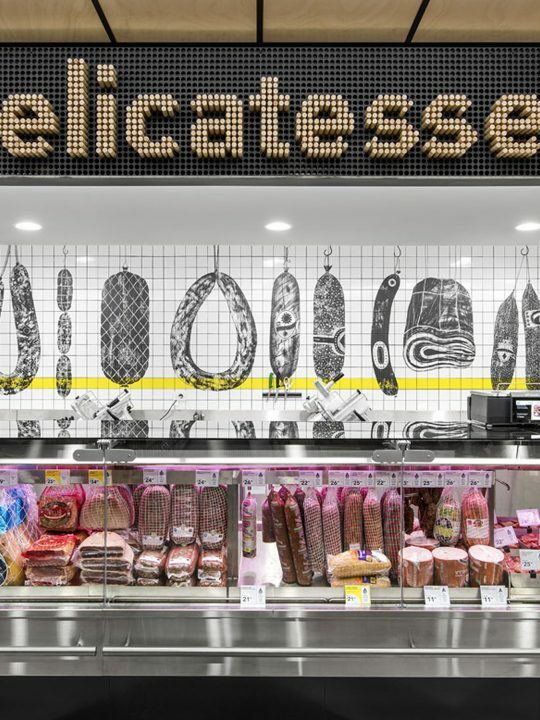 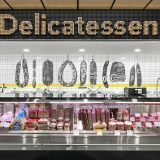 Studio Ongarato used bold ribbons of colour for the external signage to reflect the buildings built form and guide public site usage. 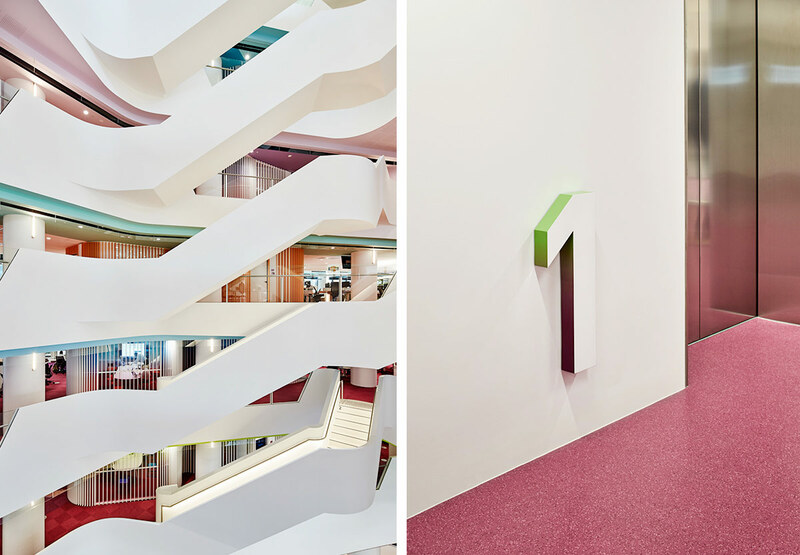 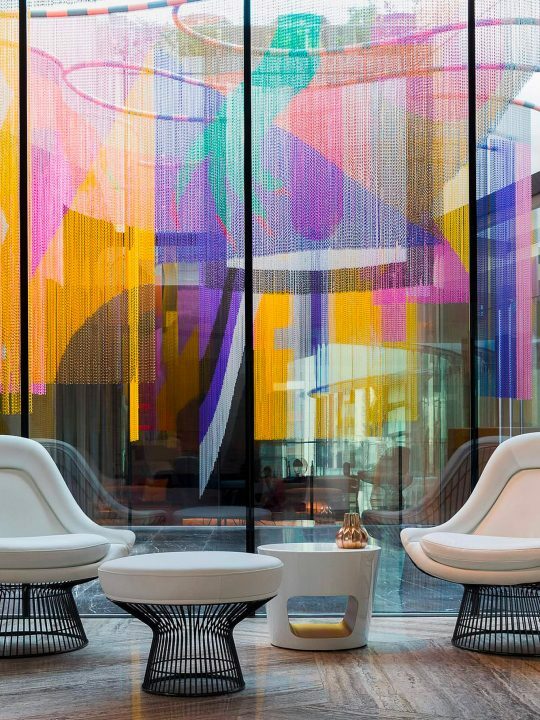 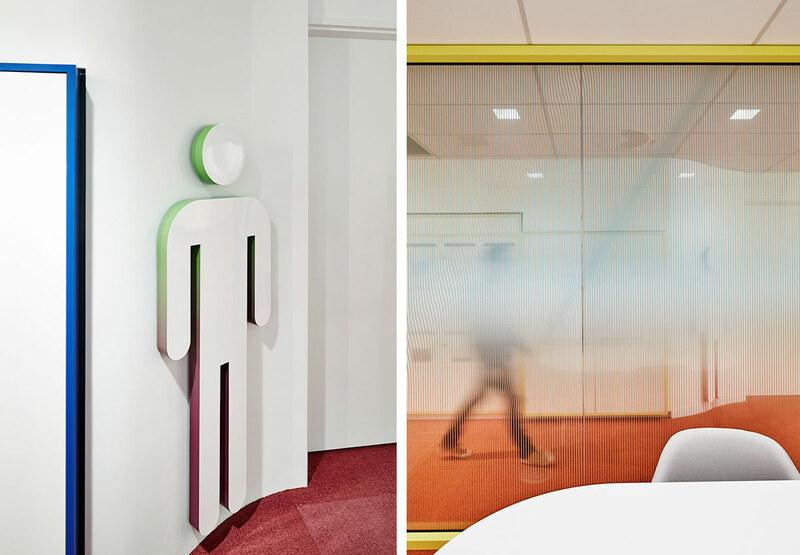 While contours and colour gradients were deployed within the interior to reflect a more subtle approach to the notion of ‘Transformation’ in the workplace.